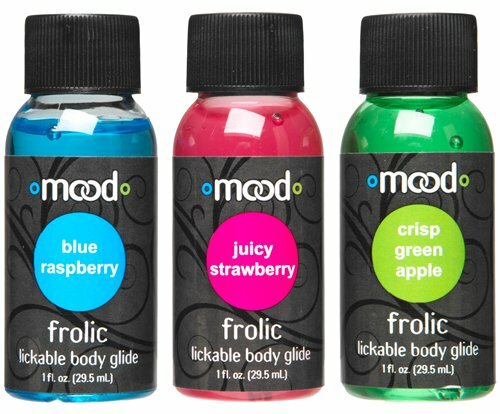 Mood by Doc Johnson, the fun brand that brought some great vibes to the market is back again with another stellar product; the Frolic Lickable Body Glides Sampler Pack! When you're feeling in the mood, be sure that you have these bottles close by! The flavourful body glides provide a romp to remember! The 3-Pack Sampler has 1x1 fl.oz Blue Raspberry, 1x1 fl.oz Juicy Strawberry and 1x1fl.oz Crisp Green Apple!